There’s little left for Australian superhorse Winx to prove on the racetrack. Yet, the champion mare, winner of 31 straight races, is set to fortify her place in history Saturday at Rosehill Gardens, near Sydney. Winx currently ranks first in a poll of international voters as world’s best race horse. She will be writing the second to last chapter her racing annals in the 1500 meter (.93 mile) George Ryder Stakes, an event she’s already won three straight times. Winx has piled up 23 Group 1 wins and a specter of invincibility whenever the Chris Waller-trainee sets foot on the racecourse. As usual, jockey Hugh Bowman will be aboard the champion. The George Ryder is serving as a lead up to Winx’s final race, the Queen Elizabeth Stakes on April 12 at Royal Randwick, another Sydney-area racing plant. The co-feature on the Rosehill Gardens card is the $3.5 million (AU) Golden Slipper Stakes, the world’s richest race for two-year-olds horses. 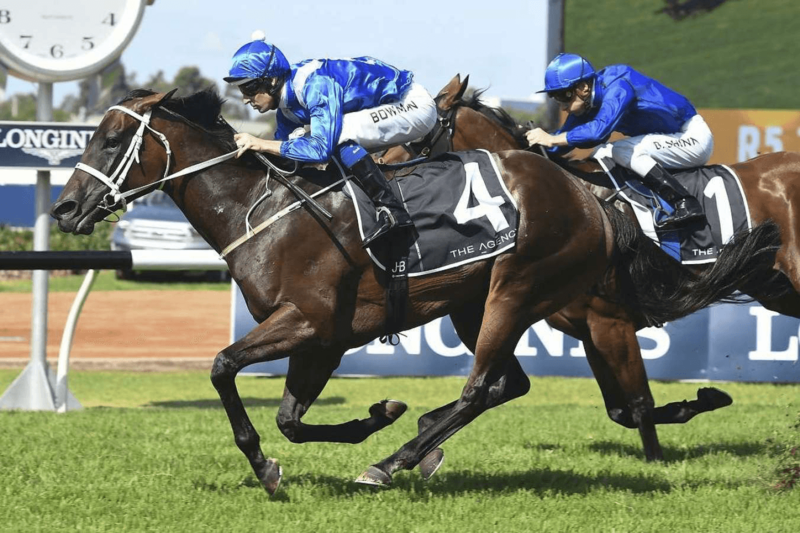 Winx, as the prohibitive favorite in the George Ryder, is expected to lead her seven challengers into the starting stalls just before midnight Friday in the US’s eastern time zone. Expect post for the Golden Slipper Stakes to be Friday night in the US, at about 1:30 am ET. Race fans will be able to live-stream in HD the entire Rosehill Gardens card on skyracingworld.com and all major Advance Deposit Wagering platforms. The current race record for Winx is 35 wins from 41 starts with $23,429,676 (AU) in earnings on the track. She’s fresh off her last start, the Chipping Norton Stakes two weeks ago at Royal Randwick. There, as is her custom, after lagging behind the early speed was soon pouncing on the leaders in mid-stretch to secure the victory. The grass event is contested at about 1 mile. Winx has virtually no detractors in the Southern Hemisphere. There, she’s the unchallenged queen of the turf. However, fans in North America and Europe continue to lament that they never got to see a horse who refuses to lose and remarkably is holding top form for not just a few months, but for several years.